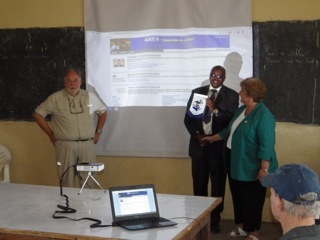 Our club’s major focus has been on ARES (African Ruggedized Education System). 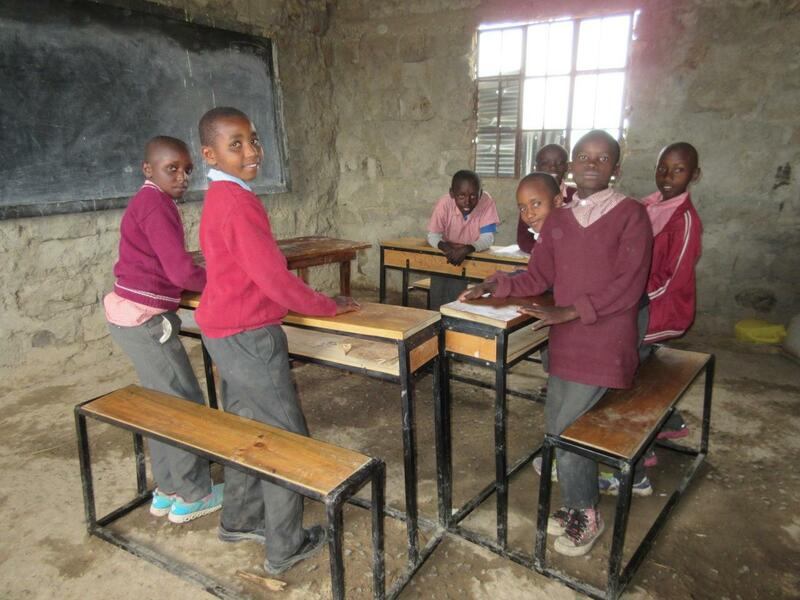 Beginning in 2016 /17 with a District Grant of CAD$5,000 to match our CAD$5,000 we were able to supply two schools in Kenya with ARES and for a total of just over 500 students. Chair of our International Committee, Doug Stilling, is shown here participating in a training session for teachers & students at the Tigithi Boys School in the Nanyuki area. 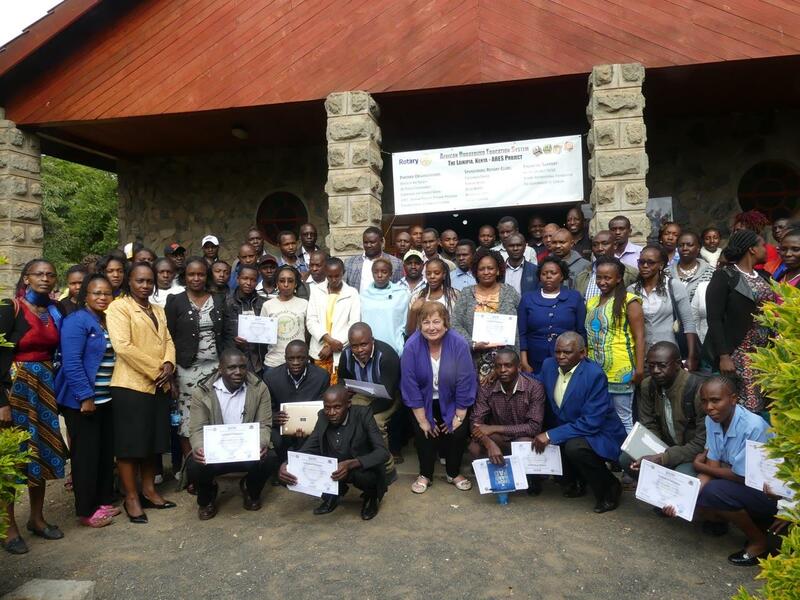 It was followed by another session in the Nakuru area. 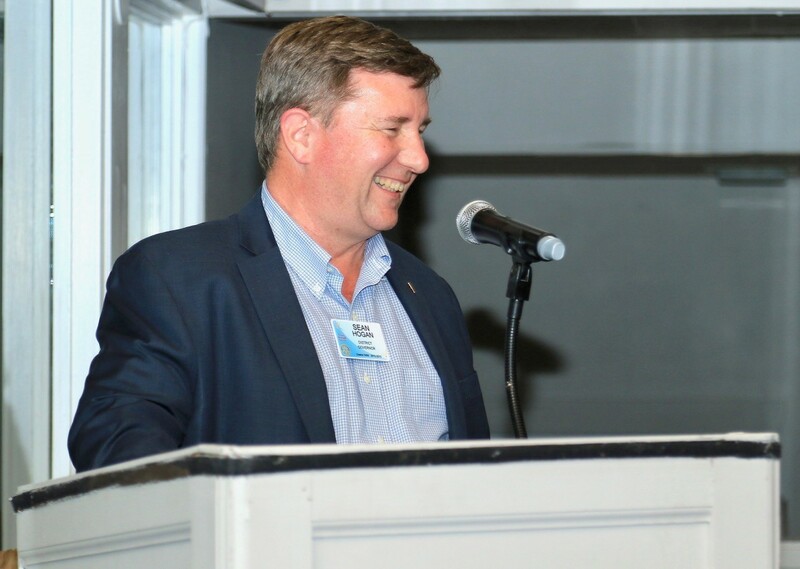 We then partnered with 3 other Rotary clubs by contributing US$5,000 each, and received matching grants from Rotary District 50/50, the Canadian Government and Rotary International which gave us a total budget of US$129,900. This will be a three year project 2018-20 in which we will supply as many as 18 to 20 schools with ARES and Technical Training for up to 150 teachers. 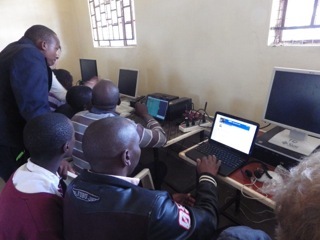 At the end of January 2019 we have installed the system in 14 schools and have done training for 121 teachers. Four more schools and a third training session is planned for January 2020 to bring the total up to meet our original goal. We may, however, be able to extend the # of schools by 2 or 3 if supplies and time permit. All travel and accommodation is the responsibility of team members and some of the technical hardware (chrome books, servers, battery packs, projectors etc.)  were in carried in team members’ luggage so ALL Rotary funds were used for the cost of supplies and training expenses. 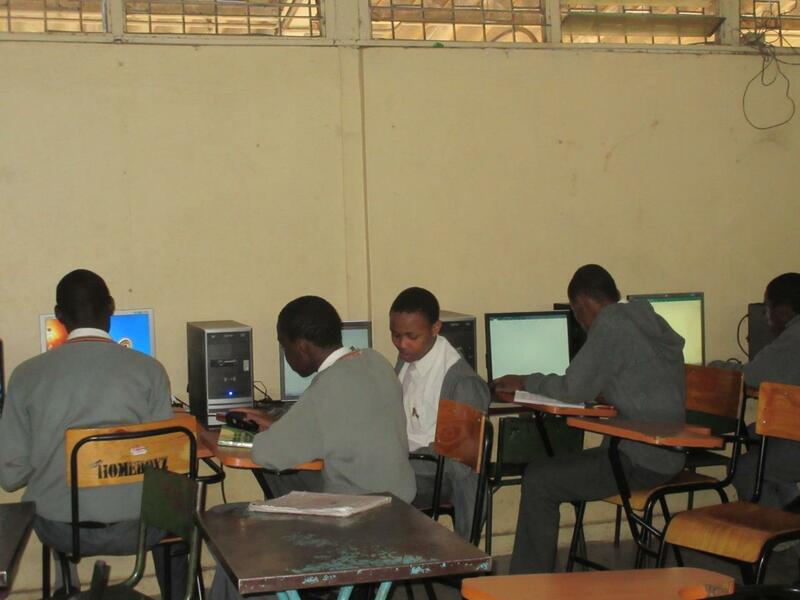 This computer system consists of a server box loaded with public domain reference information from Ted Talks, Khan Academy, universities, medical sites, Kenya school curriculum, British grade curriculum, downloadable books and educational videos. It is a closed system with no access to the Internet - protecting the students from unwanted online predators. The server box is accessed by chrome books that are stored in the schools in a secured location. Excellent video describing the system, the partnerships and the implementation of A.R.E.S. Days for Girls is an International non-profit organization which has existed for 10 years. 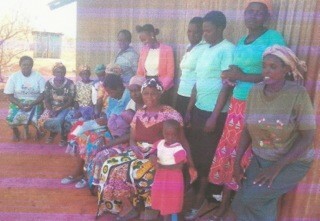 During that time, over 1 million washable feminine hygiene kits have been distributed world wide. Our club has donated a total of $650 to the local Chilliwack Days for Girls organization which goes hand in hand with our other African project A.R.E.S. 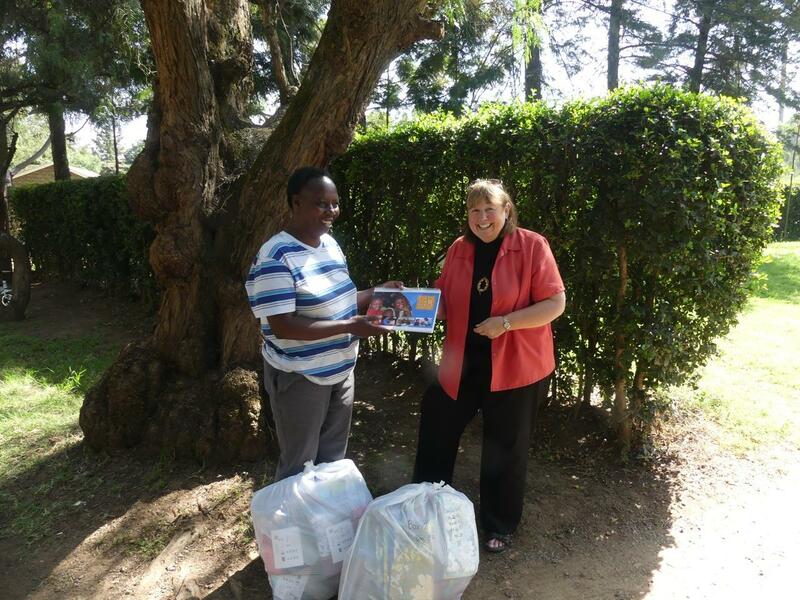 because Sandy Stilling is involved in both the production of the kits and also the education and distribution when they are in Kenya. 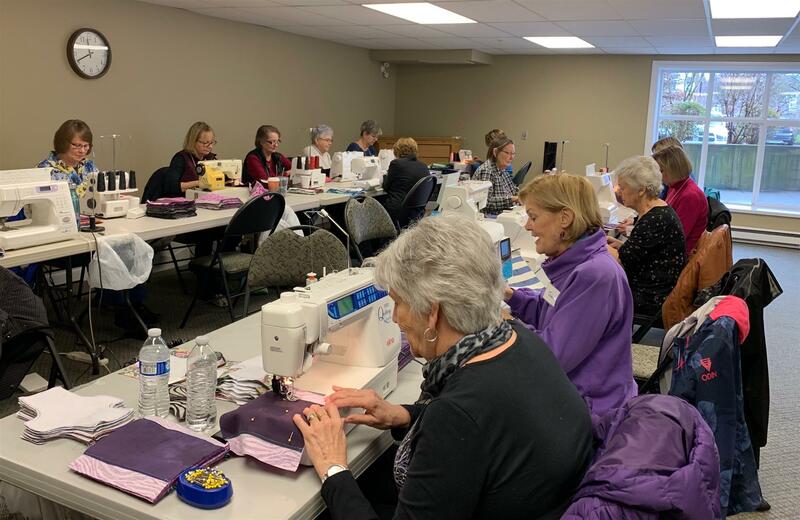 This group of local women meet monthly to sew feminine hygiene products which are then distributed throughout six continents! 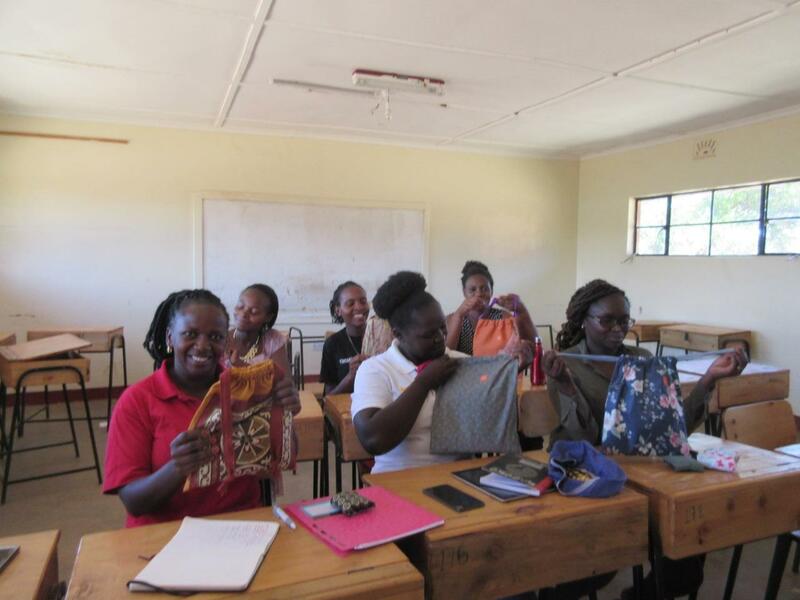 Our donations enable the purchase of a particular type of fabric , and the next shipment of 300 kits left for Kenya in August. some of our Club Members! 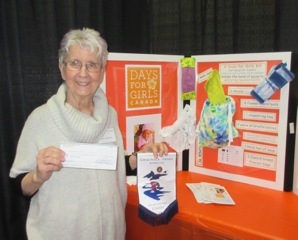 Days for Girls "turns periods into pathways"
Our second contribution was $250 to the Kisima Womans group in Kabarbesi Village of Baringo County west of Nanyuki in Kenya. The women raise poultry and make baskets. This will help in the purchase of goods and produce to resell and for equipment used for such things as water collection and crop harvesting. 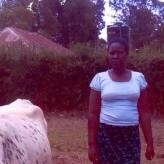 The third loan is to Mildred in the Kitale area of Kenya for the purchase of Fruits and Vegetables for her grocery store. 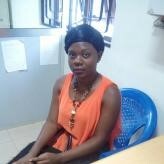 It was made with the proceeds from the ﬁrst $35 repayment of Merina’s loan made a month earlier. We provided the funds to purchase two goats for villagers in a remote area of Haiti. A local registered Canadian charity, Hungry for Life International which is based in Chilliwack made the trip to Haiti and while there purchased goats for about $125 on our behalf to give to the local villagers. Our club added funds to a clean water project initiated by the Gustine Rotary Club of California and the Pag-Asa Davao Club in the Philippines. Our $2400 contribution (which included a matching grant) ﬁlled the short fall in their $50,000 effort to supply 570 new biosand clean water systems and 20 Composting Toilets in the Marilog District of the Philippines. 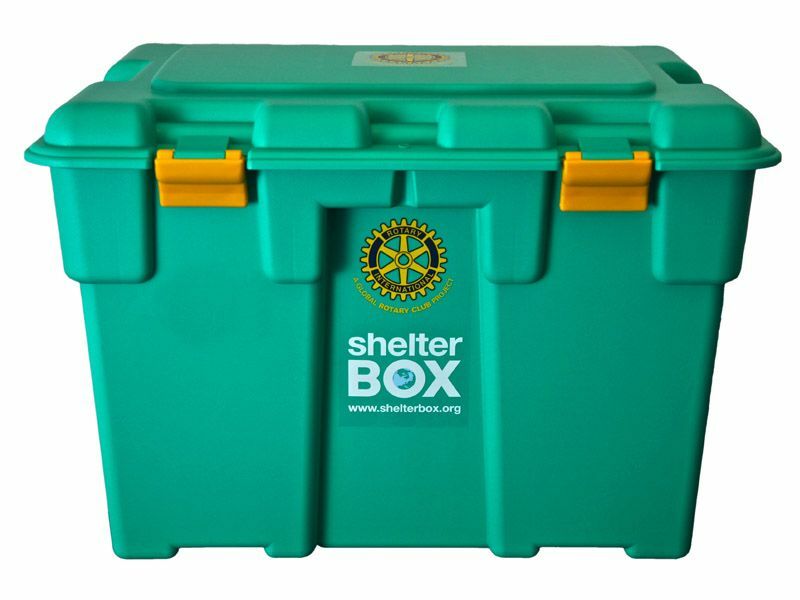 ShelterBox is a international disaster relief charity committed to ensuring that no family goes without shelter…and Rotary is their partner in this global project. 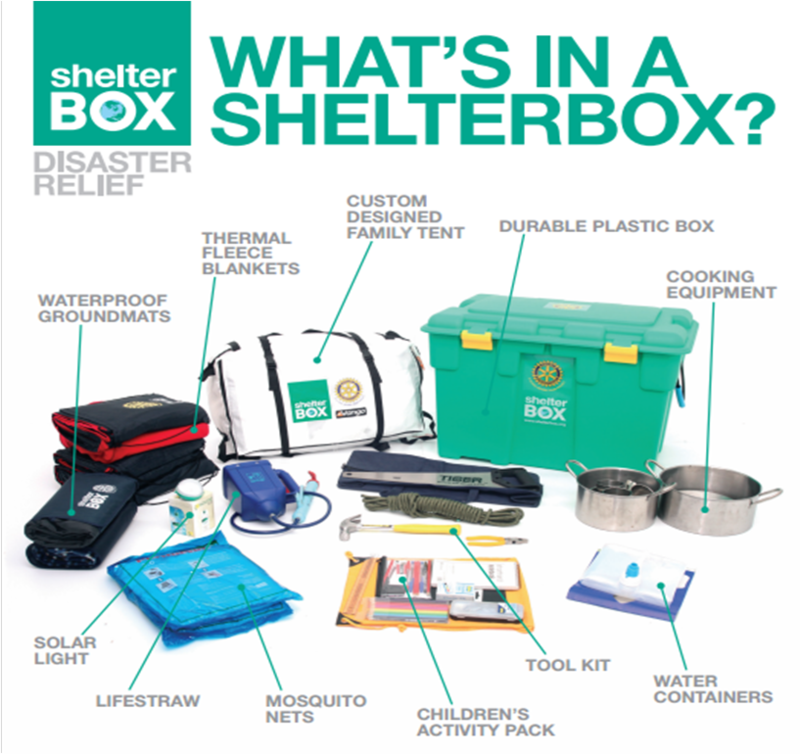 ShelterKits contain a selection of materials, including toolkits, ropes, fixings and heavy-duty tarpaulins, that can be used to make emergency shelters, repair damaged buildings and create the foundations for new homes. 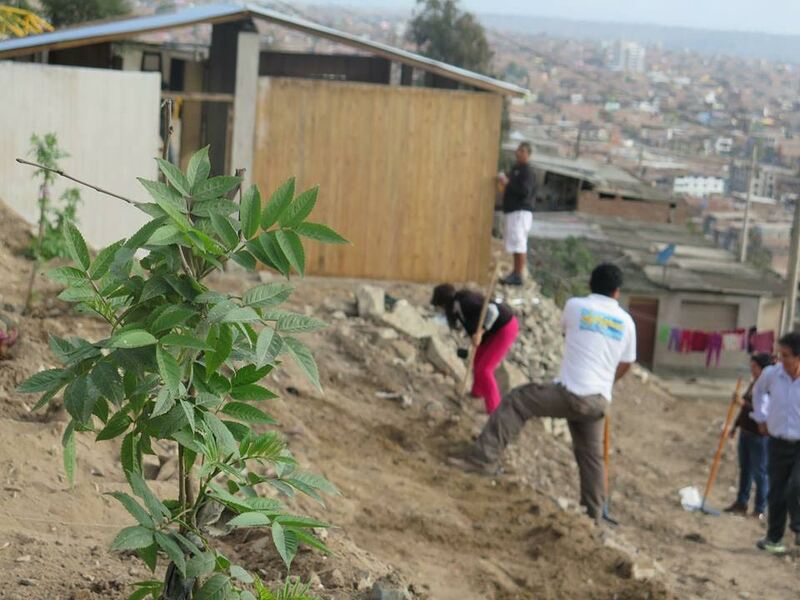 They are customized to suit the location and needs of the community. 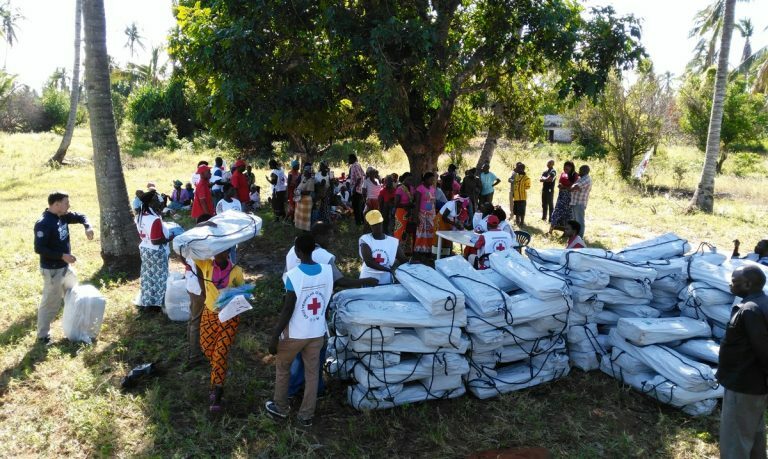 This month (May 2017) ShelterBox distributed 1,000 ShelterKits in Mozambique after Cyclone Dineo caused widespread devastation to many rural areas. 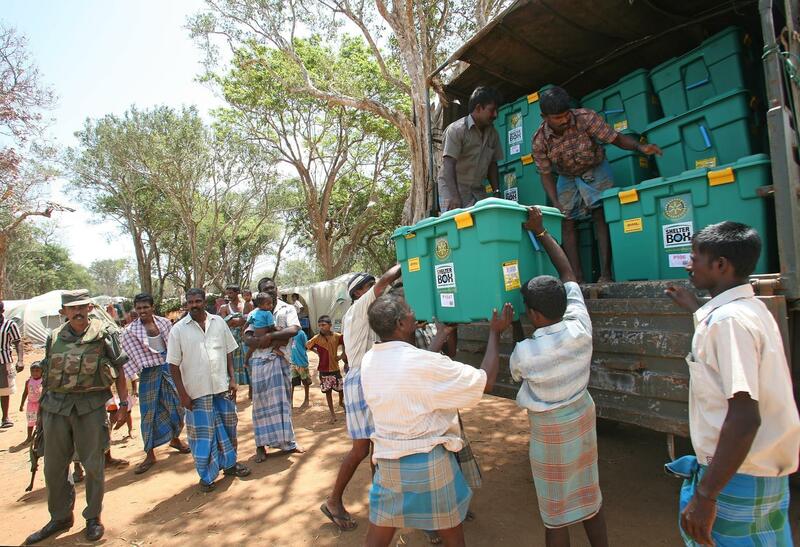 Our Chilliwack Fraser Rotary Club donated a ShelterBox which was given to a family in Sri Lanka. Edwin (Haku Tours) along with the mayor receive our Rotary banner from Doug Stilling, with thanks for our club’s donation. 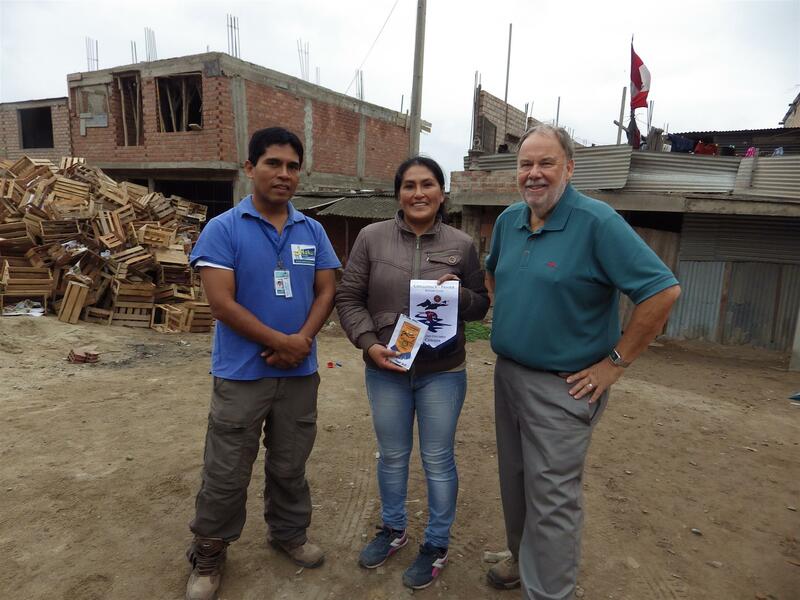 In 2015, our club's International Service committee chair, Doug Stilling, travelled to Villa El Salvador, a neighbourhood on the outskirts of Lima, Peru. Our club funded the construction of a new roof for a local daycare centre. To many, the daycare may not look like much more than a garden shed, but to the 40-50 children the program serves the building provides shelter and safety.